different herbs and spices. For me to list the entire listing of ingredients here would be tedious and I don't think I can actually read the list with my glasses anyway! When I started using these blends in my cooking, my family did notice. They commented on how good my food tasted. Especially my homemade spaghetti sauce. My husband does not like store bought sauce, so I make my own. I use the Original blend and the 5 Herb Blend in my sauce as well as the Onion and Garlic. My family connected that my sauce has never been better!!!! I am very happy with all of the blends. The meat a Tenderizer does a good job of softening up meat, making it less tough than when you first get it. My husband also lives the Hot 'n Spicy seasoning. 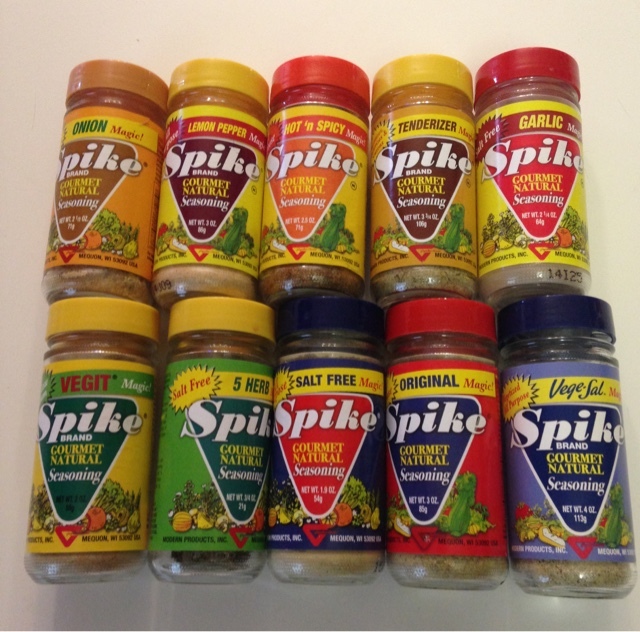 He loves spicy food and this is a seasoning that can be put into just about anything. I've rubbed it onto ribs, put it in soup, even put it on corn on the cob! I also like the Garlic seasoning, as we have problems with fresh garlic causing heartburn in both my husband and myself. This Garlic seasoning does not do that because it is a dry powder that has already been cooked. 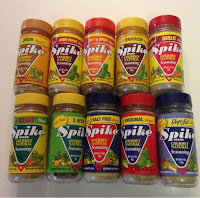 The Spike-It blends retail for $3.29 each and you can go to www.spike-it-up.com to find a retailer near you.